Sources say sanctions are being lifted without Congressional approval and despite no agreement with Iran. 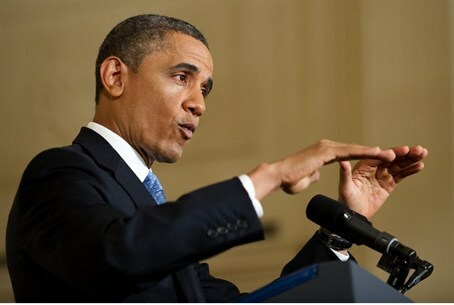 A report indicates that US President Barack Obama has been easing sanctions on Iran for the past five months without Congressional approval, and despite the lack of any agreement over the Islamic regime's nuclear weapons program. Sources in Congress revealed that Obama's administration has been suspending or lifting many sanctions without informing Congress since Iranian President Hasan Rouhani was elected in June, reports the World Tribune. An unnamed House staffer stated that “orders to stop the designations (for new sanctions) came from the White House and State," adding "this has not gone down well in Treasury.” The Congressional sources added that Obama's policy has allowed Iran to maintain its crude oil exports. The Tribune report appears to fall in line with previous analysis that warned that Obama was rushing to seal a deal with Iran, and in the process was turning his back on US allies, Israel and Saudi Arabia. Indeed US Secretary of State John Kerry told the Senate in a briefing Wednesday to "ignore anything the Israelis say." Officials in the Obama administration have been vocal in pushing lawmakers not to enact new sanctions on Iran. During Kerry's briefing this Wednesday he called for an end to new sanctions, claiming sanctions risked ending the ongoing Iran nuclear talks. The last round of talks fell through this past weekend and are to be resumed in Geneva on November 20.